In the last few months,we have seen early-stage companies being valued at billions of dollars. For instance Facebook acquired WhatsApp for US$19 billion. Similarly, Uber, the company behind the car sharing app of the same name, was valued at around US$18 billion. The valuation of each of these companies is four times more than Nepal’s annual budget. Firms that have barely been in the market for five years have been valued more than the GDP of entire nations. 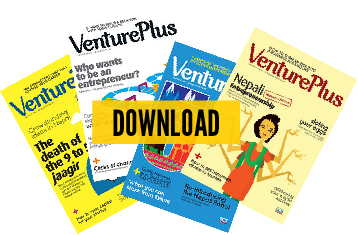 As the Nepali economy grows and entrepreneurial ecosystem develops, more high-growth startups will be set up, making valuation of these companies important. In a hyper-connected world, a Nepali company fetching a high valuation might not be a distant dream. What do investors look at to predict the future potential of a company and put a number on it? Putting a value on a firm that is young is often challenging. As the worth of a firm means the present value of its future cash flow, investors rely on a lot of judicious assumptions to predict the flow. A young company often has little or no historical data. The investors rely on three variables to predict its revenue growth. First, the potential market size of the sector in which the company operates. Second, the potential share of the company in that market. Third, the competitive advantage and the barriers to entry posed by the company to others. Bigger the size and potential of the market, better it would be for the company to expand. This in turn, translates into higher revenue per unit. Similarly, companies that operate in an unexplored market segment, where there are no large or established players nor regulatory risks and uncertainty are valued higher. High revenue might not necessarily translate into high profit. Sometimes operational expenses are so high that little profit is left for distribution or reinvestment. While putting a value on a company, investors typically analyze the operational margin and potential operational efficiency values that can be created to increase the profit margin. Operating efficiencies of a company can be enhanced by improving the management, technology deployed and better allocation of capital. A standard metrics that is used to analyze operational margin of a company is Revenue to Earnings Before Interest Taxes Deprecation Amortization margin (Revenue/EBITDA). Some early- stage companies often focus too much on revenue growth and ignoring ways to improve and streamlining operations, causing positive cash flow and valuation to suffer. In order for any early-stage company to generate cash flow, the company initially needs to invest cash. The money that a company borrows or the funds that promoters put in have certain cost. And this cost of capital for the company is a fundamental part of the valuation process. This quite often determines if the investor will invest in the company. Despite having stellar revenue growth and EBITDA margins, companies can still fail if the cost of capital is too high. In the context of Nepal, the cost of capital is high as many companies have debt to equity ration in the 70:30 range. This makes companies vulnerable to floating interest rates of banks and equity premium that promoters are willing to take. Apart from thethese parameters, investors also look into how much of the pofit has been reinvested and who are in the the top management positions, to value the company. Despite all these number-crunching, valuating a company remains to be an art than a science.